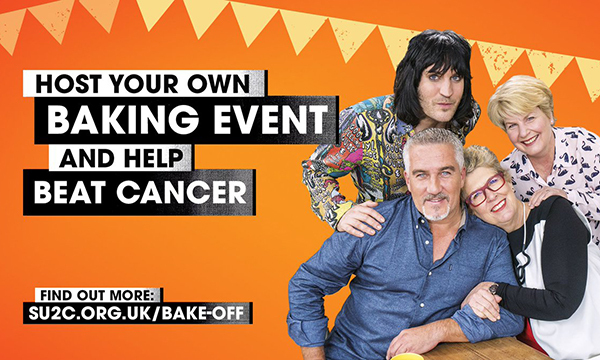 In a bid to raise funds, the Stand Up to Cancer campaign group produced a special series of popular show The Great British Bake Off. But RCN cancer and breast care forum chair Susanne Cruickshank thinks there has been a clash of messages given the publication of figures relating to obesity and cancer ahead of the series. I am just back from a break with my family in Germany. It’s the first time for a while I have been off work over the Easter period when everything was closed; it felt good. I had an interesting discussion with my aunt about chemotherapy administration in Germany. It seems it continues to be given primarily by doctors, which is different from the UK. It would be interesting to compare practices especially as it is more than 20 years since I started giving chemotherapy. I returned home to watch the Stand Up To Cancer UK Great British Bake Off series. I really like watching Bake Off every year so this is not a criticism. However, it seemed rather ironic that just the other week Cancer Research UK (co-founder of Stand Up To Cancer) were sharing some shocking facts and figures about obesity and cancer, to then find that in the following week we were looking at mountains of cake to raise funds for cancer research. I feel the messages are getting a bit mixed up, which is not the charity's aim but can only lead to confusion among the public. Unfortunately, cake is not often deemed a healthy option and I have never started a weight reducing programme that says it is acceptable to eat lots of cake. Unlike many of the charities who fundraise using events, such as through cake sales, the NHS is under pressure to remove junk food retailers and promote healthy eating on their premises. I feel we can’t just focus on the NHS buildings and workforce without being consistent in the messages from the cancer charities. It is not possible to avoid everything that is deemed unhealthy, but at least when linked to cancer fundraising, clear messaging could be attached.